Just like you need to wear the right size shoes for your feet, you need to use hair care that is specifically formulated for your hair type. One company, ProfilePro, has developed a way for you to get customized hair care by just taking a quick quiz about your hair type and habits. The company says that after several rounds of testing, their team of hair care formulators identified the best formula for each different hair profile, including type, texture, behavior and scalp condition. 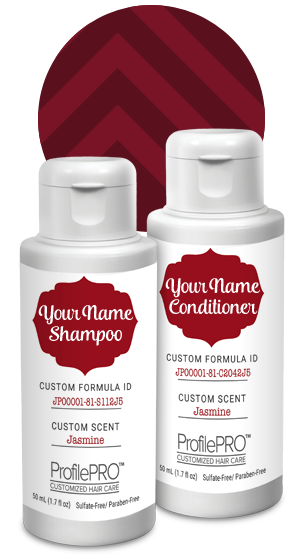 This could be a great personalized gift for someone (assuming you know their hair needs), or just a nice little treat for yourself. Let me know if you give the program a try. Click here to get started.